I am a big fan of the CNBC show American Greed. I think every investor should watch the show, to inoculate themselves against the proliferating types of financial fraud. In fact, I am thinking of requiring my children to watch a couple of seasons as a condition of eventually receiving any inheritance from me. Week after week, American Greed exposes the insidious ways in which investors get ripped off. Based on the episodes that I’ve seen, as well as my own research, below are a few common scams and pitfalls that you should learn to avoid. This type of scheme is the father of all frauds. The Ponzi scheme involves collecting funds from investors based on supposed investments that are being made, and then using these funds to pay “returns” to earlier investors. The money is never really invested. If all investors asked for redemptions within a short period of time, there wouldn’t be enough money to go around. It’s named after infamous financial crook Charles Ponzi (pictured here), who in the 1920s used the method to collect more than $8 million from about 30,000 investors in just seven months, before it all collapsed and he was sent to prison. 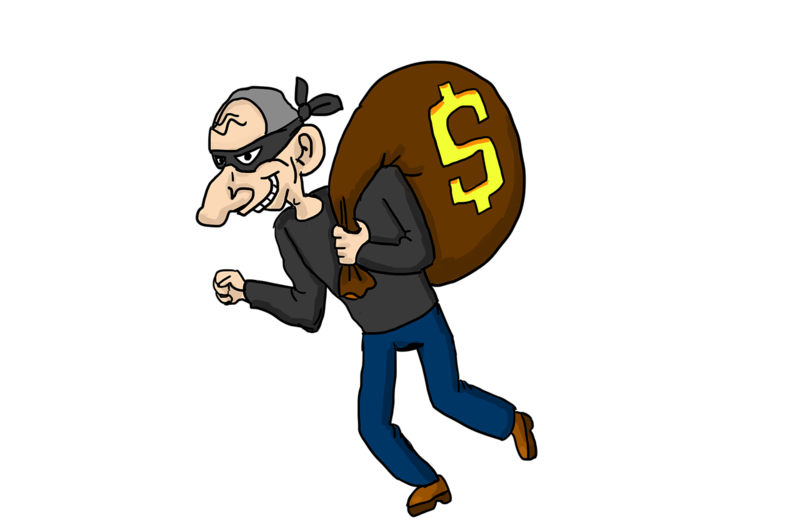 The way these scams usually work is that investors will put up a little money, and then they will start to receive interest payments. For example, someone invests $10,000, and then they receive a $1,000 check every six months. After a couple of payments, they see that the promised returns are being delivered, and then they get greedy. They invest more money. Before long, the payments stop as the scheme collapses. Bernie Madoff executed the largest Ponzi scheme in history in a fraud that prosecutors estimated reaped $65 billion. Madoff got away with it for so long because he was a trusted financial advisor, giving his outsized returns an air of credibility with investors. These schemes work as long as new money continues to come in, and Madoff managed to pull in a lot of money for many years. Ponzi schemes tend to blow up during a financial crisis, because that’s when investors are likely to request redemptions. Madoff’s scheme imploded during the financial crisis of 2008, which is when many other Ponzi schemes were exposed. Madoff is spending the rest of his life in prison and his investors essentially got wiped out. I imagine that the next surge of Ponzi schemes will be discovered as soon as we see a major correction in the stock market. How can you avoid falling victim to the next Ponzi or Madoff? For starters, understand what you’re doing with your money. Too many people put money into investments that they don’t understand. You need to ask a lot of questions and perform plenty of due diligence on the person offering the investment. In the case of fraud, you’ll often find that the person has been in trouble for securities violations in the past. Conduct background checks of your adviser, starting with the Financial Industry Regulatory Authority (FINRA), a private group that regulates the financial advice industry. They’ll let you know if there is a history of sanctions, disciplinary actions or client complaints against your adviser. Also consult online reviews from other advisers and traders, which can give you insights into a wealth management firm’s strengths and weaknesses, as well as its integrity. And don’t put all of your eggs in one basket. In a recent episode of American Greed, a couple invested their entire life savings, a $1.2 million inheritance, in what turned out to be a Ponzi scheme. The schemer was promising them 20% annual returns, but they lost it all. Personally, I would never invest money with an individual. There are just too many risks. But should you choose to do so, never risk more than a small fraction of your total capital. Those who put a substantial fraction of their savings into something that turns out to be a fraud may never recover. Having said this, I think everyone can benefit from more aggressive investments in their portfolio. As you reach retirement age, you should devote a smaller percentage of your savings to such investments, but devoting a small portion of your portfolio to higher risk investments can help you stay ahead of inflation over time.